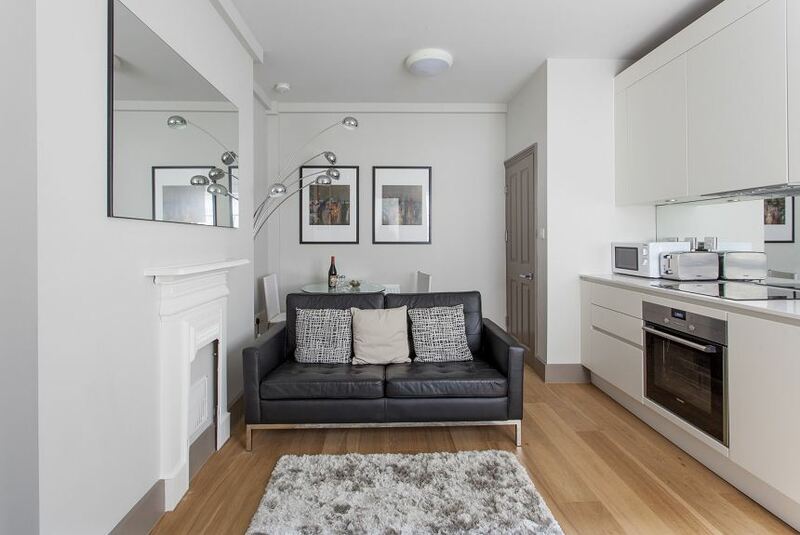 Our elegant serviced apartments are the best choice for your stay in Fitzrovia, London. Featuring modern furnishings and all the amenities that people love about serviced accommodation, your stay will be a big success. Inside, soft furnishings and timber flooring add warmth and sophistication, while well-positioned windows offer plenty of natural light to stream through the apartment. The properties comprise a living space, bedroom, kitchen and bathroom - all with their own amenities. You'll benefit from a flat screen television, DVD player, internet access, secure entry system, fully equipped kitchen and first-class linen. You'll enjoy coming back at the end of the day to show off your supreme cooking skills and relaxing in front of the TV. A 24/7 customer service team will be on-hand to keep your stay on track. GBP100	* Check your country's current exchange rate for the exact deposit in your currency.